311 >> orchestrated another great show in the valley on Tuesday in Mesapotamia. You are well aware of my fondness of Mesa Amp in general but I'd like to also further reinforce that this never applies in August. Aside from the desert hotness, the show was the standard dopeness. The Omaha quintet has been getting 'Down' for the better part of 2 decades, very still in the game and know what's up when bringing it to Phoenix. 311 opened with 'Beautiful Disaster' taking stage after their Unity Tour sidekicks Slightly Stoopid. Also off Transistor, they got after 'Rub A Dub' and while this was my 12th time seeing 311 live this may have been the first time I've seen them perform this gem [that I can recall I guess]. They flipped it again with a bunch of other 'Random' tracks that I rarely hear like that subtle nugget and 'My Stony Baby'. There was an insane drum solo by Chad in the middle of 'Applied Science' followed by the rest of the band joining him with their mobile drum sets and banging in unison. This seems to happen pretty much all the time now but it's still fun times to watch. Just once I'd like there to be a Tim solo for days then Nick, SA, P-Nut and Chad come out schredding some Mahoney madness. I always enjoy a good 'Amber' sesh. 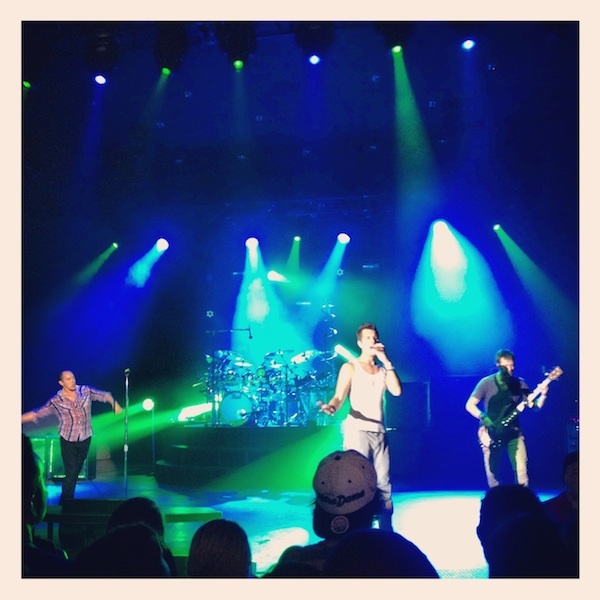 Out of the, say 20, songs 311 performed it was the blue album [self-titled] that got the most action. 'Random' of course, 'Purpose', 'All Mixed Up', 'Don't Stay Home' and closing with 'Down'. It's great that every 311 show I get to gather with the seldom cronies from prep school and the era of the self-titled LP and Transistor. It's like having an American Reunion every year. I can't wait for the 'Jackolantern's Weather' and outdoor shows and festivals are in agreeable temperatures. Fall Frenzy and Soundwave are coming soon. Can't wait! This entry was posted in music, shows and tagged 311, all mixed up, amber, applied science, beautiful disaster, blue album, chad, don't stay home, down, drum solo, fall frenzy, guitar solo, instagram, jackolantern's weather, mahoney, mesa, mesa amphitheatre, my stony baby, nick, omaha, p-nut, purpose, random, rub a dub, sa, slightly stoopid, soundwave, tim, transistor, unity, unity tour, video. Bookmark the permalink.